During my artistic examination of Alzheimer’s disease and dementia I discovered the phenomenon of agnosia. Because of this dysfunction, patients do no longer recognize not only intimate persons, but also the sense and purpose of items they used to deal with countless times before in their lives. The meaning breaks away from the object which becomes thus a “thing”. By my installation “AGNOSIA” I try to undermine and incapacitate the processes of perception and remembering within mentally sane people. Therefore I photographed items of everyday’s life against white background in various households. 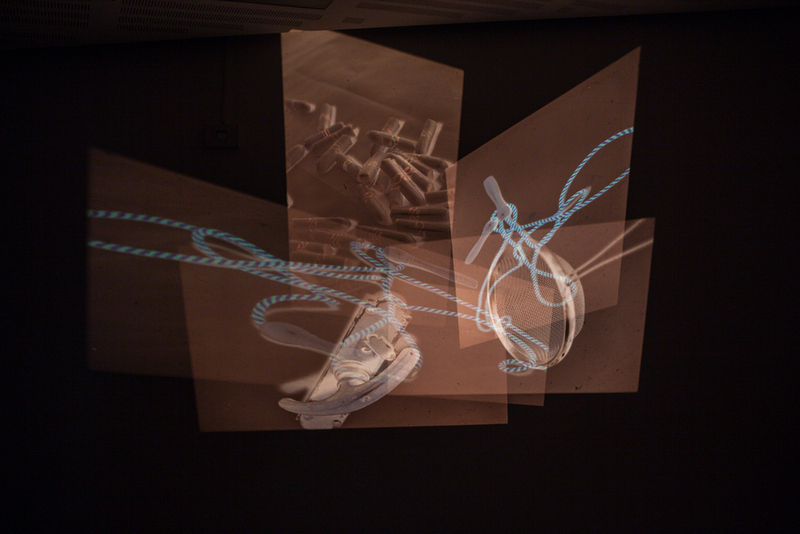 With the help of five slide projectors I show the photographic negatives of the resulting pictures on a wall. 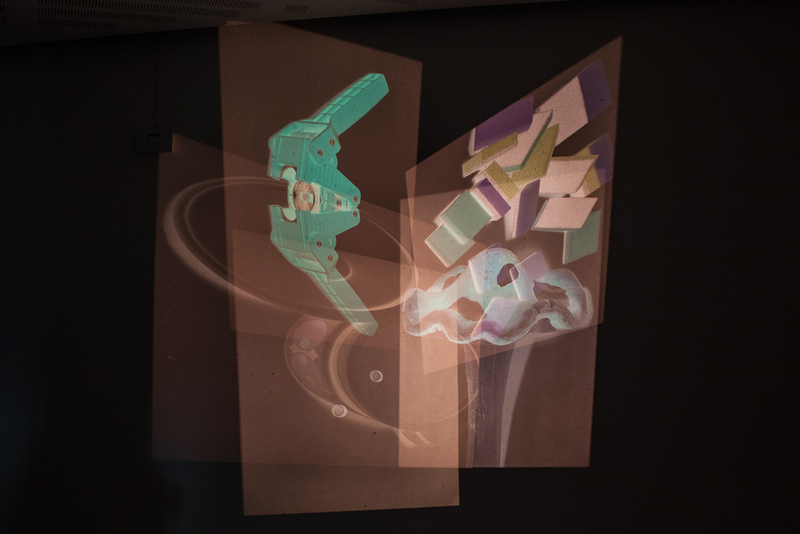 There are 36 different pictures in the magazine of every slide projector. 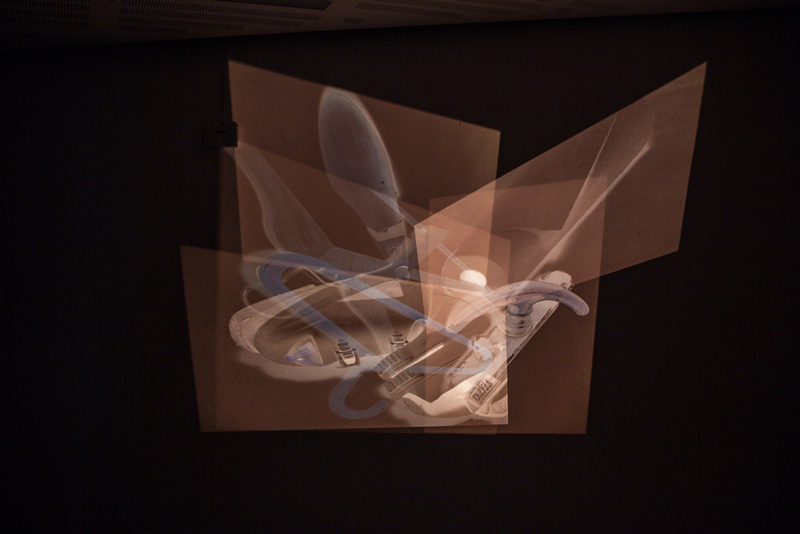 I programmed the slide projectors in a way that the endless-loop-projection changes arbitrarily every few seconds. 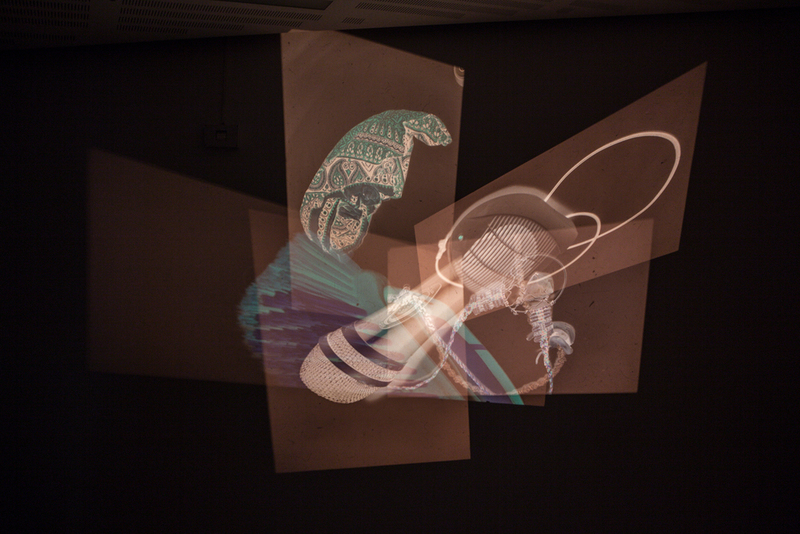 By projecting the pictures in a slightly shifted way one above the other, the result is a sort of collage. The specific items grow together, so that a proper distinction of the individual elements is often no longer possible. New associations and ideas emerge. The result is an abstract ensemble whose individual components are discovered and recognized by the beholder only little by little. I just project the photographic negatives in order to reinforce the effect of alienation.